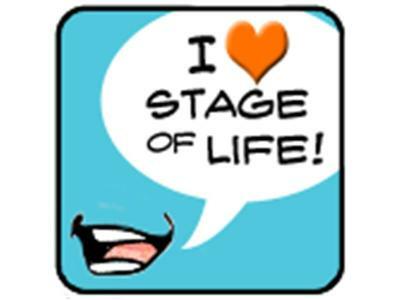 If you liked this show, you should follow stageoflife. Elle is a 28-year old newlywed living Pennsylvania. She is a bonafide Jersey girl and is still adapting to her rural surroundings. Elle graduated from Mount Saint Mary’s University in Emmitsburg, MD in 2005 with a bachelor’s degree in English. While there, she wrote for the MountEcho, the University’s newspaper and hosted a radio show. She accepted a job offer in the PA area from an internship she completed while at school. She is currently the Membership Manager at a non-profit preservation organization and enjoys the daily challenges her job brings including writing for the newsletter, solicitation appeals, and countless member correspondence. Elle met the man of her dreams and that is how she landed in Hanover, PA- his hometown. They are truly a country- mouse- meets -city -mouse pairing. In her free time, she enjoys shopping, gardening, reading, journaling, blogging, spending time with family and friends (which requires bi-monthly trips to Jersey!) and attempting to cook. Elle just recently planned her wedding and had the time of her life doing it. It wasn’t always easy, but it was more than worth it in the end. She encourages you to share your stories, send her any wedding questions or stresses you have, and have fun!